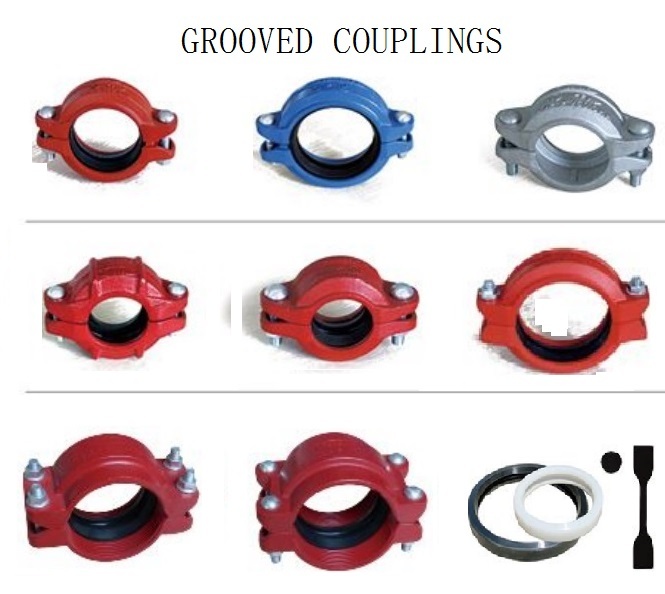 Grooved Reducing Flexible Coupling is similar like Grooved Flexible Couplings, the difference is the Grooved Reducing Flexible Coupling can connect two different size pipe, it also use for the firefighting works.They are all good quality Grooved Couplings with excellent material. We can produce iron and steel castings and do the maching according to the supplied drawings by customers.Our main products include Stainless Steel Valves,Malleable Iron Pipe Fittings, Air Hose Couplings, Grooved Pipe Couplings, Hose Clamps.We are looking forward to working with you for long time ! 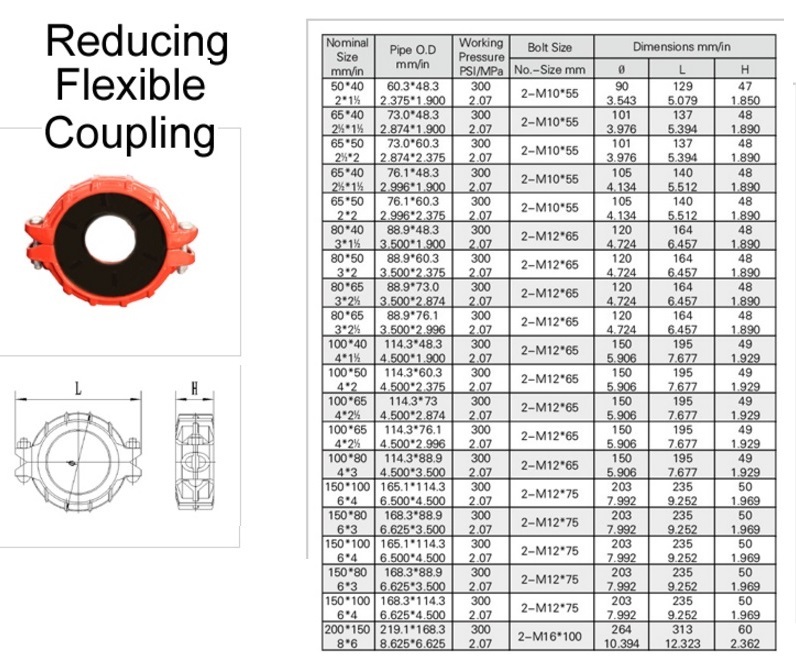 Looking for ideal Grooved Reducing Flexible Coupling Manufacturer & supplier ? We have a wide selection at great prices to help you get creative. 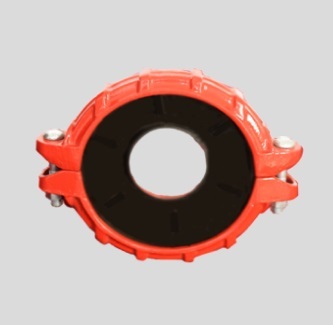 All the Grooved Reducing Flexible Clamp are quality guaranteed. 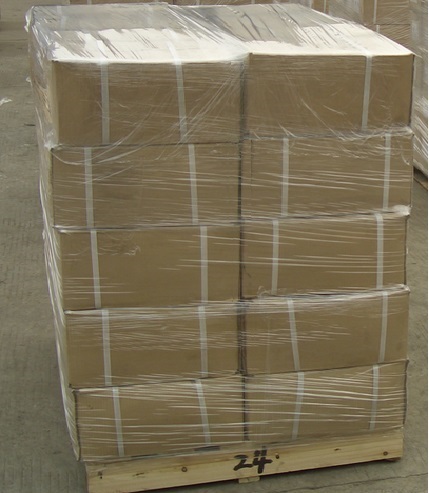 We are China Origin Factory of Ductile Iron Reducing Flexible Coupling. If you have any question, please feel free to contact us.